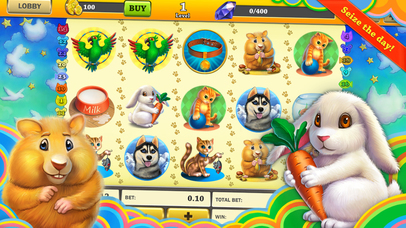 Slots — Lucky Play is a real explosion of positive emotion on your device, with new and beautiful slot machines! A game for all comers where you can give gifts, tokens and free spins to your friends. Beautiful graphics and sounds guarantee that you’ll be completely immersed in the game, flooded with pleasant emotions, and in a good mood for the rest of the day! Slots — Lucky Play has a massive collection of slot machines with exciting bonus games that you’ll want to play again and again. We update the game regularly to make it even better, more exciting, and more magical. A simple and entertaining game where all you have to do to enjoy yourself is press a button! Start playing Slots — Lucky Play now! Get gifts and have fun!